The Association for the Study of Literature and Environment off-year symposium organized by Sarah Jaquette Ray and Kevin Maier at the University of Alaska-Southeast was exceptionally well attended (~twice the number of attendees than originally expected), there were panels and field trips, and the organizers made a point to include film in their plenary line-up, with a screening of Eating Alaska followed by a Q&A with filmmaker, Ellen Frankstein. 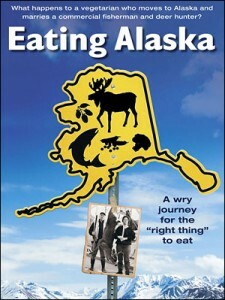 For those of you who have seen the film, Ellen’s description of it as a “drive by” might ring bells, as she covers topics as diverse as hunting, fishing, veganism, kids and home education, native subsistence, and other particulars of trying to eat wisely in the far north, all in the span of about an hour. The film is self-deprecating and wry, and approaching Ellen not only during the Q&A but at the conference (during meals or before other panels) highlights an important point it seeks to make–there are no straight-forward answers to how we fit into our food systems. The film is humble, prodding one with questions, not advocating obvious answers. I personally was delighted to see the film and Q&A slotted into the plenary line-up as it attests to how ASLE continues to legitimize ecocinema as an integral part of its critical purview. 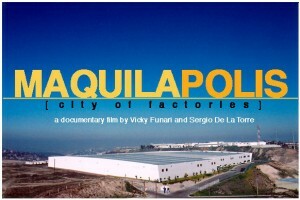 The panels too showcased some attention to ecocinema, and to ecomedia more generally. I attended an interesting session on Thursday titled, “Voices from the Margins.” Robin Walz’s paper, “Who’s Afraid of the Big Bad Borg? The Collective Imperative in the Age of Cybernetic Organisms” presented a critique of Star Trek’s representations of the Borg Queen using Donna Haraway’s feminist and technological studies framework. It made a good argument for the series’ glimpsed but lost potential in subverting some of its normative ideologies (e.g., of masculinity and capitalism) through the Borg Queen. Robert Boschman’s “The Arctic Vampire as Bioterrorist in 30 Days of Night” considered vampires as posthumanist commentary in the graphic novels (and adapted films) of Steve Niles. His discussion of the resurgence of vampire lore post 9/11 might be of interest to eco-horror critics. On Friday, I was lucky to present my paper “Mother Earth in Crisis: Visions and Voices at the 2011 Native Film + Video Festival” which was well attended. On Saturday, in a panel titled “Colonial Legacies and Environmental Justice,” Jennifer Barager Sibara presented a fascinating examination of Maquilapolis through the lens of disability studies, arguing that the film makes all too visible the invisibility of environmental violence in the Global South. I was sorry to miss the panel “Imagining the North: Various Lenses,” which included Susan Kollin’s “Alaskans in Unusual Places: Hollywood Film and the Far North” and Erin Scheffer’s “Weinweig’s North: Imagining Canadian Identity and Northerness in 1940s CBC Radio Programming.” However, I did attend a concurrent panel, titled “Responding to Climate Change” that featured Janet Fiskio’s “Mourning, Witness, and Hospitality: A Poetics of Climate Change.” Her readings of an art installation in Iceland and the practice of second line in New Orleans provide compelling case studies for what she suggests is a radically altered eco-philosophy that recognizes the potential of the humanities in climate change as more than just the “PR” or translation of the science of climate change. Her delving into new social movements theories, environmental justice, and performance studies were definitely thought-provoking in presenting the potential of affect in climate change narratives. Finally, on Sunday, Bronwyn Preece, held a workshop on performative art, which I was sorry to have to miss. While there were at most three panels occurring concurrently, the high-quality of papers and the additional conference activities (field trips to Mendenhall glacier, whale watching with a marine biologist, Alaska Native Juneau tour, and the Toxic tour, as well as the convenient inclusion of breakfast and lunch into the conference schedule, and the dorm living experience) provided a jam-packed four days with much to think about, and unfortunately, some panels to miss. Overall, though, I’m happy to report that ecocinema and ecomedia are definitely here to stay as part of ASLE’s critical focus. Great reflections, Salma! Thanks for sharing your thoughts, and for attending. What a conference! A wonderful post. Your takeaway from my “Who’s Afraid of the Big Bad Borg?” presentation was a good one. Many thanks. If I ever resurface, I’ll try to condense it to a one paragraph abstract for you and the Ecomedia community. Thanks Robin, looking forward to adding your voice to the mix we have here.